Kim Factor School of Dance is committed to providing staff who are professional, reliable and friendly. Our teachers are all passionate about working within the dance industry and hold the experience, knowledge and qualifications to confidently teach a range of dance genres. All of our staff hold current ‘Working with Children Checks’ and First Aid qualified staff members are available on site at all times. Kim started ballet at the age of 3, and continued to learn all styles of dance with Karen Stephens, followed by The National Theatre. She completed both Royal Academy of Dance and Borovansky Ballet syllabus exams. Kim completed VCE dance and then went on to study full time dance at the National Theatre Ballet School. After full time dance Kim gained her bachelor in health studies and arts, majoring in Dance, Nutrition and Psychology. Whilst at University Kim also completed her Royal Academy of Dance registered teachers certificate. Kim found her passion in teaching whilst she was still a student and taught for many schools around Victoria before starting her own school. Kim has trained hundreds of students in the RAD syllabus and loves to see her students grow a love for dance. Lara has danced since the age of 3 in the styles of Jazz, Musical Theatre, Acrobatics and Tap and continued to dance throughout her secondary school years. After completing VCE, she studied a Bachelor of Health Science majoring in Nutrition and Exercise Science at Deakin University as well as a Graduate Diploma of Human Resources. 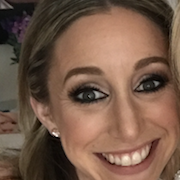 She has been working at Kim Factor School of Dance as both a teacher and an administrator for the last 6 years and loves being able to combine her passion for dancing, working with children as well as business management into her role at the school. Alexa is a current student at Deakin University completing a bachelor of health sciences, majoring in exercise science and physical activity and health, as well as completing several units in contemporary dance. Alexa was a former student at Kim Factor School Of Dance. She grew up participating in many styles of dancing, including ballet, tap, jazz, lyrical, contemporary and acrobatics which allows for a wealth of knowledge across a broad spectrum of genres of dance. Chenelle is a dedicated and passionate teacher and performer who has worked alongside some of Australia's most talented professionals. Chenelle has had the opportunity to perform alongside some of Australia’s best musical theatre performers in the Rob Guest Endowment’s Concert Production of ‘Beauty and the Beast', the 2017 international VICKS television commercial, the Australian premier of the musical 'Dreamgirls' and cabaret shows in the world famous Spiegeltent. 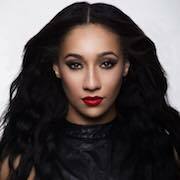 Chenelle also works as a commercial dancer at various corporate events at Crown Entertainment Complex, also appearing in music videos and backup dancing for Meghan Trainor at the 2015 TV Week Logie Awards, Nathaniel at the 2015 NBL launch and Redfoo on Channel 7's Dancing With the Stars. Chenelle has also had the opportunity to assistant teach the 'Formation' dance classes held by FOX FM and BEAT Entertainment and choreographed the 2017 RUOK campaign music video. Courtney is a very bubbly, motivated Australian teacher and performer. Born in Bunbury WA, with her mother being a dancer, she followed in her footsteps and started training at age 2. At 17, Courtney decided to venture our and move to Melbourne to further her development and training at The Space Dance and Arts Centre. Having been trained in Jazz, Ballet, Tap, Contemporary, Acrobatics, Hiphop, Lyrical and Salsa, Courtney has a wide variety of skills to offer. After completing her training, Courtney was offered her first contract and from there has been working as a professional ever since. Courtney loves to share her knowledge of dance and performance to all the children that she works with. Elliee has been training Ballet since she can remember. Growing up in small-town Bathurst, NSW, she trained under Felicity Jones at Promenade Dance School. Studying through the Royal Academy of Dance (RAD) syllabus her last exam was Intermediate and she was awarded a Distinction. She has assistant taught ballet almost as long as she has danced and been teaching classes of her own since 2013. Although she loves ballet, she fell into performing and is currently studying a Bachelor in Circus Performance at the Nation Institute of Circus Arts (NICA). She loves Ballet and loves being able to teach and watch children become the best dancers they can be. Gemma Richards discovered a passion for dancing at the young age of 3 and has been dancing ever since! In 2013 Gemma was accepted into full time training at the Australian Conservatoire of Ballet. Here she studied in the style of Vaganova before deciding she wanted to branch out into other genres of dance to make her a more versatile performer and teacher. 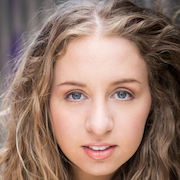 This decision led her to full time training at Dance World Studios where she graduated with an Advanced Diploma of Dance and Foundation in Musical Theatre in 2015. Since then Gemma has signed with the agencies JR Management and Entertainment Store. Gemma continues to develop as a performer and teacher by taking on as many performance opportunities as possible, as well as taking regular classes to stay up to date with the latest styles. Jenny has been dancing for over 17 years. She has trained in classical ballet, jazz, contemporary, lyrical, tap and hip hop. Jenny has competed in numerous dance competitions and performances including Masters of Choreography. In 2017 she completed her Cecchetti Advanced 2 Major ballet exam. 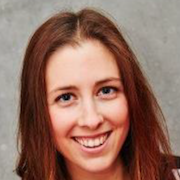 Jenny’s passion for teaching developed when she began assistant teaching over 10 years ago. She loves seeing her students grow in a fun and challenging environment. 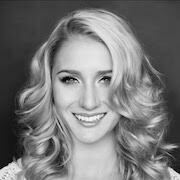 Jessica completed full time training at APO Arts Academy in 2010, graduating with a Diploma of Dance and Certificate III in Musical Theatre. After graduation Jessica has been part of several dance festivals and showcases in Melbourne including Short Sweet Dance, Twisted Broadway, the Australian Open Ceremony, Melbourne Cabaret Festival and the Melbourne Fringe Festival in PopPress . She has performed in Magnormos’ Stephen Sondheim triptych, Anyone Can Whistle and worked on Jerry Herman triptych, Milk & Honey, as assistant choreographer. Jessica was also cast in the ensemble of CHESS with The Production Company in 2012. She received the Ausdance award for Victoria’s Favourite Female Dancer in 2014. 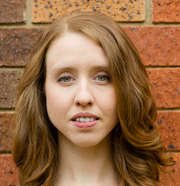 Jessica has been a member of Vertical Shadows Dance Company since 2011, performing in principle roles for seasons Release the Stars (2011), On the Rocks (2012) and Parallax (2015). Her involvement in the company led to a Creative Associate/Rehearsal Director position for the 2014 production The White Prince. 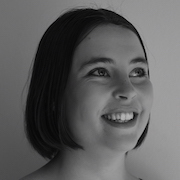 Jessica now teaches at several of Victoria’s flourishing dance schools, with a passion for passing on her extensive knowledge of dance. She is committed to ensuring that students progress at a personal rate, whilst approaching their training from both a physical and creative capacity. 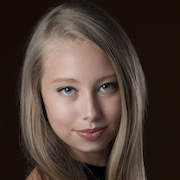 Kiara Kieser trained with the Australian Ballet School (Junior School) where she completed 4 years and Jane Moore Academy of Ballet for most of her training years then went onto complete 2 years at Spectrum Dance Performing Arts. Since then Kiara has gone on to dance all around the world and is currently based in Melbourne. Kiara has worked with Australia’s leading choreographers, Yvette Lee, Kelley Abbey, Tracie Morley, Leanne Cherny, Troy Phillips, Andrew Hallsworth, Jason Coleman, Kim Adam, Trish Squire-Rogers, Tony Bartuccio, Assistant Choreographer to Yvette Lee on (In The Heights), Royal Caribbean International Auditions And ‘Universal Studios Japan’ Melbourne Auditions. Kiara has worked with artist Kate Ceberano, Bonnie Anderson, Anthony Callea, Olivia Newton John, Tim Campbell, Rhonda Burchmore, Olly Murs, Samantha Jade and many more. Michi Is a passionate and driven musical theatre performer. Training in singing, acting and dancing from a young age, after completing school at Leibler Yavneh College, Michi participated in a summer intensive with Kibbutz Contemporary Dance Company in Israel and then partook in the "Dance Jerusalem" program at Jerusalem Academy of Music and Dance, training and learning the repertoire of Batsheva and Vertigo Dance company. 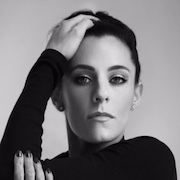 Upon her return to Melbourne, Michi has choreographed and directed both "Unfairest- a villainous musical" and "Fiddle on the Roof" at Leibler Yavneh College. Most recently, Michi trained Tisch School of the Arts in New York in their summer New Studio on Broadway musical theatre intensive. Michi loves sharing her passion for the arts with students and so enjoys teaching at KFSD! 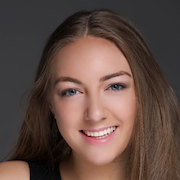 Rebecca has been dancing for over 15 years, training in; ballet, jazz, hip hop and tap. Her love and passion for dance has only grown over the years as she has transitioned from a student in the subject of dance to a teacher. She began her teaching career as an assistant teacher and has since worked her way up. 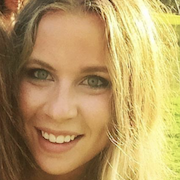 Alongside teaching, Rebecca is also studying a double degree in Business and Marketing at Monash University. As she balances her studies with her full time commitment to her students, she successfully is able to reflect her dedication to dancing as well as her passion to her students. Shaina started her training at Kim Factor School of Dance up until her senior years where she accepted a position at Patrick Studios Australia- The Academy High School of Performing Arts. 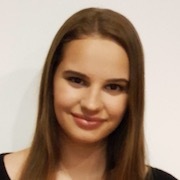 Shaina Graduated year 12 as The Academy’s school caption of 2016, and has since continued her training at Patrick Studios Australia’s Full Time Performing Arts Course. Shaina has been seen in various events and performers such as CGU Move in May 2017 (IDAHOT), Dracula’s Cabaret Theatre Restaurant, Bring it on- The Musical and The Tuxeedo Junction Regent Theatre. 3 professional standard dance studios. Heating & cooling in all studios. 2 full studio length acrobatic tumbling mats. Reception waiting area with heating & cooling.